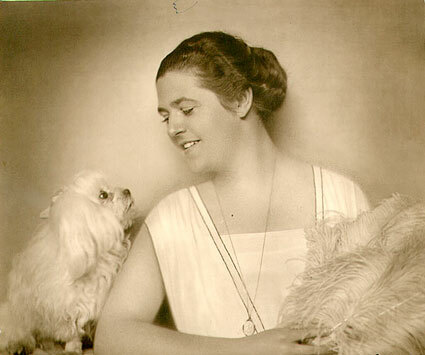 Lotte Lehmann enjoyed her third career just as much as she did her first two. 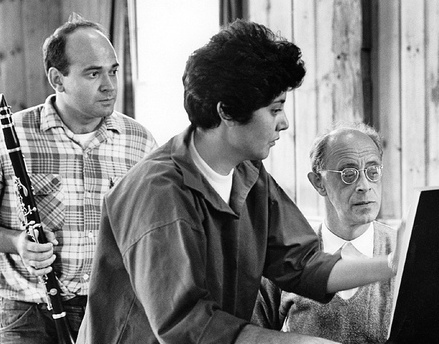 Kathy Brown’s 2012 book Lotte Lehmann in America: Her Legacy as Artist Teacher, with Commentaries from Her Master Classes thoroughly describes Lehmann’s teaching methods. Presented here are audio and video documents of her teaching, and examples of her students’ singing, as well as comments on their teacher. In the following video excerpt, Lehmann reveals the secret to her great success, in both Lieder and opera singing. There are great artists who don’t necessarily subscribe to this philosophy, but Lehmann obviously did and she’s suggesting to her students that they should consider the same principle. Without singing a note, Lehmann demonstrates how the singer can respond to a piano introduction. Notice that the hands don’t hang limply down at the side of the body, and you sense that she is hearing the importance of every note. But really, there isn’t much motion at all. The singer listens to the piano and reacts naturally. Lehmann demonstrates—at the age of 73 and without much voice—the various elements of the Robert Schumann Lied, “Ich kann nicht fassen, nicht glauben” (I can’t understand it, not believe it) from his cycle, Frauenliebe und -Leben. This is the moment in the story at which the young girl knows that he loves her. The mysterious and pleading quality that Lehmann suggests are found in the words of one of Goethe’s most famous lyrics, “Kennst du das Land.” Here are the words she quotes, in English translation: Do you know the land where the lemon trees blossom? Among dark leaves the golden oranges glow. A gentle breeze from blue skies drifts. The myrtle is still, and the laurel stands high. Do you know it well? A recitative is that portion of an opera in which a lot of information is offered, without the aid of much melody. It’s usually overlooked, because singers want to get to the aria. Here, Lehmann takes the time to demonstrate the words of the Countess, in the Marriage of Figaro. Though Mozart set Da Ponte’s Italian words, it was the tradition in German-speaking lands to sing everything in the language of the audience. And Susanna doesn’t come. I’m anxious to know how the Count took her proposition. The scheme seems too bold to me, and to a husband so wild and jealous! But what harm is there? Changing my clothes with those of Susanna, and hers with mine… shielded by the night… Oh heavens, to what a humiliating state I am reduced by a cruel husband, who, after marrying me, with an unheard of mixture of infidelity, jealousy and scorn, first loved, then offended, and at last betrayed me, now makes me turn to one of my servants for help! The student has performed the most famous aria from Weber’s Der Freischütz. Lehmann illustrates with her body and face, a response to the music and situation when there’s no singing. The character Agathe is impatiently waiting for her boyfriend, who she hopes has won the shooting contest. In the following Brahms Lied, Lehmann has said that the 17th-century poet Paul Fleming’s words of the infatuated lover are unimportant and must just tumble out. Despite this admonition, she demonstrates with her usual clear diction, but “sings,” as usual during her teaching years, an octave below the soprano key. Komm, eile, komm, komme, du süße, du fromme! Come, hurry, come, you sweet, innocent! Oh fairest of the fair! A New York City critic voiced a negative opinion when Mme Lehmann sang an “All-Brahms” Town Hall recital. Today we would welcome such a chance to appreciate the many-sided nature of Brahms Lieder. Lehmann could milk the tragic songs, and make one laugh at the light-hearted ditties. Luckily many of the acetates of these recitals have been located, and the serious Lehmann fan can find them available in the box set that Music & Arts released. Lehmann discusses the involvement of the whole body when singing, but cautions against extraneous or meaningless motion. I have witnessed Lehmann demanding of a student the most sensitive response to the words, psychological subtext, and complete engagement from the eyes to the feet. In this demonstration of the Robert Schumann Lied, “Schöne Wiege meiner Leiden,” Lehmann illustrates the broad spectrum of responses to each line of this strophe. She doesn’t have the words in front of her and makes up a few as she goes along. and my heart is sick and wounded. Classical singers often think that the smooth singing they seek can be obtained by connecting the notes with a slide. Here Lehmann observes that this habit makes a song sound sentimental and must be avoided. In the past, many singers, including Lehmann, used this portamento effect in their performances, weakening their presentation. This demonstration of a Brahms song allows us to hear and see just what made Lehmann so appealing in her recital performances. Each phrase of Ludwig Uhland’s poem elicits a reaction from her, whether vocal or physical, and this response doesn’t cease when she’s finished singing the words. Wollte Gott, wollte Gott, ich wär’ heute bei ihr! Would to God, that I could be with her today! In this brief scene from Lohengrin, Lehmann summons up all the evil inherent in Ortrud’s character and shows that the whole body must engage in the thought being expressed in singing. as by magic he came to you? 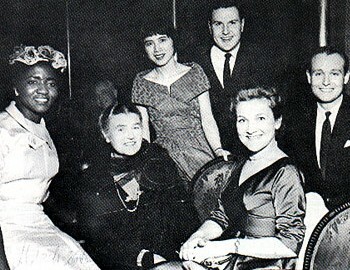 Grace Bumbry, Lehmann, Chieko Sakata, Douglas Miller, Luba Tcheresky, and Leslie Guinn in Lehmann’s Metropolitan Opera box, 26 March 1958. 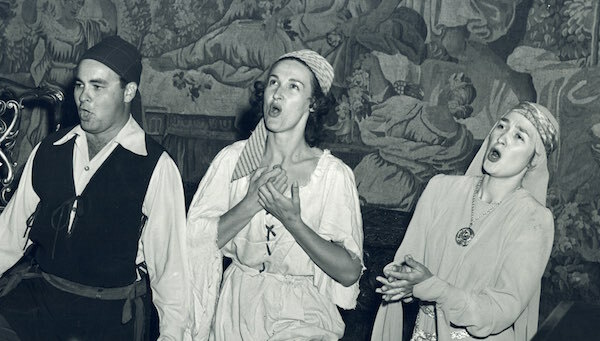 Miller sang mainly at the Metropolitan Opera from 1951—1974, often associated with the pants roles of Octavian, the Composer, Nicklausse, and Prince Orlofsky. She sang an amazing 338 performances there. She tells of the first time she heard Lehmann and mentions the Brahms Lied, “Mein Mädel hat einen Rosenmund,” which you can hear Lehmann sing. Then Miller speaks of the importance, for her, of the Schumann Lied, “Aus der Heimat…,” which she sings with John Wustman, piano. Lehmann was so proud of her that she flew to New York when Miller made her Town Hall debut. During Lehmann’s Music Academy of the West years, and privately thereafter, star students included those mentioned above, as well as Karan Armstrong, Judith Beckmann, Kay Griffel, and Maralin Niska. Established singers who valued Lehmann’s coaching included Hermann Prey, Gérard Souzay, Hilde Güden, Janet Baker, Thomas Moser, Rita Streich, Raimund Herincx, and Alberto Remedios. 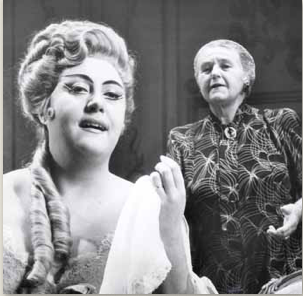 Lotte Lehmann was the director/advisor of the 1962 Der Rosenkavalier for the Metropolitan Opera. For that occasion she coached the famous cast of females that included Régine Crespin as the Marschallin, Anneliese Rothenberger as Sophie and the reluctant Hertha Toepper, Octavian. We look with some dismay at these names, because most of them, sadly, have already died. At this writing Lois Alba is still actively teaching in Texas. Alice Marie Nelson sang “Von ewiger Liebe” (Of Eternal Love) by Brahms with Warren Jones, piano. She is still giving recitals. Marcella Reale who still teaches in Japan, came out of retirement to record this one Puccini song with Roberto Negri, the pianist. The song is “Sole e Amore” (Sun and Love) and it may remind you of La bohème, which Reale often sang. When teaching, Lehmann enjoyed having the young students laugh at any reference to carnal love. She always felt that they were too prudish and often missed the essence of a poem or aria. 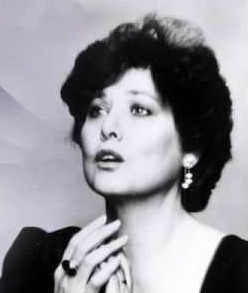 I don’t know for sure where this Fidelio master class took place, but Shirley Sproule (see below) was the singer. Lehmann’s demonstrations quickly let us know why she was so famous in the role. I heard her sing three recitals in Montreal and one in Town Hall, NY. After her New York recital I walked with a friend to our hotel, not a word spoken. In my room all I could do was fall onto my bed and weep—a long time. In this way I try to explain why I felt I could never sing for her. My teacher in Montreal wanted me to apply to the Academy to study with her. I decided if I were accepted I would not, of course, be singing, but listen as hard as I could to everything Mme Lehmann would describe about poetry, etc., and I would write as many notes as I could. I would then go back to Saskatchewan where I was teaching and have so much more to offer students. 1953 was the first year the Academy offered master classes open to the public. There was little knowledge of what auditors, etc, could expect to experience when attending a master class. It was decided that the faculty would choose “volunteer” students and give mini-master classes, allowing them to perform, and give little suggestions for an improved technique (piano) or communication, as with singers. The Recital Hall [now called Lotte Lehmann Hall] was jam-packed. Gyorgy Sandor presented a student; Sacha Jacobson had wonderful Irene Rabinowitch; Simon Kovar had, I believe, a clarinet student, Dr. [Richard] Lert, a conducting student who was to conduct the orchestra, accompanying a singer (I was that singer) and Mme Lehmann prepared two singers, Marcella Reale and Joe Meyers. Reale sang Mimi’s first act aria leaning against the piano and arms outstretched from the body along the piano. She was very confident and had just sung performances of Mimi for a production of La bohème with the Pacific Opera Company. She sang beautifully and everyone appreciated her ability. Lehmann commented, “You sing it so well, Marcella, but you present it a little bit as if you are singing at a piano in a cabaret bar.” That set off everyone including Marcella, who bent over laughing, too. I remember thinking “how could this wonderful, serious artist know about cabaret bars?”…I never did ask Mme Lehmann about it. Next, Joe Meyers who had red hair, very white skin, and a lovely, lyric tenor voice. Joe sang “Heidenröslein” by Schubert. Very securely he sang this delightful song with Mme Lehmann interrupting gently with a few ideas and then asked him to sing the song through, incorporating the little adjustments. Joe did, and Mme Lehmann said, “Joe, you sing quite delightfully, and especially so with your little rosebud mouth.” Well, the hall erupted. The laughter and delight over that small, innocent remark totally charmed everyone, and Joe laughed too. I had wonderful assignments that summer…Mme Lehmann first gave me the Marschallin in Act III on the day I auditioned; then Mr. [Fritz] Zweig gave me “L’Enfant Prodigue” by Debussy. The next week Mme Lehmann asked me to “look at” the first (big) scene Act I of Der Rosenkavalier…the Marschallin with the words, “It is a lot of work. You are doing Act III and the Debussy but—it would be nice if you could learn the monologue too.” Of course, if she asked me, I’d try! So, I did learn all of the Marschallin except the levée scene, that summer. During the 1954 Academy season, among other opera scenes, I was assigned Octavian in Act I of Der Rosenkavalier. I had great qualms as to how to walk like a boy and react to the Marschallin. But Mme Lehmann, always generous and patient and so very good at explaining the reasons for ways of responding, made it an unforgettable experience for me. Mme Lehmann could be very perceptive but did not always spell out a concern, even as impulsive as she could be. In the winter 1954–55 she called me and asked if I would drive her in to the Academy to hear a recital sung by Carl Zytowski. As we stood outside the Recital Hall looking over the program I somehow sensed she was looking at me. I asked, “is there something I can get for you?” Very quietly she said, “I just wonder if you have enough elbows of steel, Shirley,” so pensively. I knew what she meant, so replied, “Well, I guess I’ll just have to see, Mme Lehmann, and if I find out I don’t, I’ll just try and find some.” While I’m persistent, even dogged and dedicated about my application to my learning, I have (had) no enjoyment with aggressive and argumentative dialogue. As she said that, I thought, “Boy, she surely hits the nail on the head!” She certainly diagnosed me very accurately. Years later in Europe, when I was in an audition situation and had to stand up for myself, I wrote Mme Lehmann of the event and really thought she’d be pleased I had taken some courage to speak out and had found a few “elbows of steel.” When she responded to the story there was not one word of my bravery and I grinned to myself over it. I still do. Mme Lehmann had such sensitivity to what a person could feel when singing in class. I remember once when someone was singing something I knew and liked very much, I was being carried away with it. Mme Lehmann did not interrupt the singer but there was a poignant silence after the song. Then, very gently and with pain in her voice she said, Oh, ____, You sing so well but I just can’t help you if you cannot open up more.” I’ll never forget how she looked as she said that. It hurt her to not only say that but that she couldn’t remedy the situation. 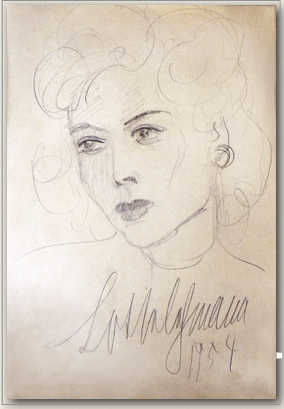 In the summer of 1955 we experienced an unusual phenomenon: a singer talked back in no uncertain terms to Mme Lehmann. The room froze. She had ripped through the Mozart song at a non-stop, furious pace and boom! She was done. There was a silence before Mme Lehmann spoke and tried to suggest that some adjustment in the tempo might give the singer some advantage to show more clarification of the ideas. Answer? “I like it the way I did it.” Quite slowly and quietly, our teacher spoke. “You have a lovely voice and I believe you understand what the song has to say.” Walking a bit towards the singer… “If sometimes in moments of stress a tempo will move more than anticipated then the ideas of the phrases tumble after each other so quickly the listener cannot separate them clearly enough and the singer’s efforts will not be understood.” And very quietly she moved slightly toward the singer and looked up at her, directly looking into her face and with a little smile said, “Could you please try it again at just a little slower tempo?” Well, one would have had to have been the Sphinx incarnate not to respond and so, reluctantly and somewhat indifferently, the singer said she’d try. It was not a recreation of masterful interpretation but “An ‘A’ for effort” and one could feel the room relax and how we marveled at Mme Lehmann’s patience. In the Fall of 1954 she assigned me the role of Chrysothemis in Electra by Strauss. Mr. Zweig had worked with me and he always gave such wonderful support. In mid-January Mme Lehmann said we would start staging and Mr. Zweig would come to Santa Barbara and we’d work in the Recital Hall. Benita and I were living in the dear little cottage below the Academy now known as the Treasure House. Mme Lehmann outlined for me the various directions to cover as I was singing the scene. I had always been comfortable with usage of breathing and I knew Mr. Zweig’s tempi and enjoyed the challenge of this hysterical role. We worked diligently but the constant drive vocally with the intense hysteria found me fighting for breath. Finally, I broke down and cried out, “I can’t give any more sound and fight with this tempo. I know the music, but I can’t seem to ride it,” and burst into tears and tore out of the Recital Hall down the hill to our little cottage. Benita came quickly after me and I was already in the little kitchen, starting to bash pans and washing dishes. I really tore into washing those dishes! I was so upset, so disappointed in myself, feeling I had let down Mr. Zweig after all his work with me, and also fouling up Mme Lehmann’s plans and hopes to present Electra. Benita couldn’t keep up drying the dishes as fast as I pushed them at her and gulping, trying to really stop the tears I heard Benita say, “Oh, oh” and I looked at her without saying anything and she said, “Look.” It turned out Mme Lehmann was coming down the steps to our front door. Oh, how I wondered how on earth I could apologize. Benita said, “Go, Shirl, I’ll finish here,” so I went to the door hoping my face wasn’t too streaked. I just looked as I opened the door and Mme Lehmann spoke so gently and said, “Shirley, we should talk.” It seemed the very open living room might not be private enough so I led her in my bedroom where there were two twin beds. She moved in between the beds and sat down on one and I sat on the other, facing her. I trusted her judgment so much I hoped I could find words for the whole situation. I had never run up against a fiasco quite like this. Her eyes searched mine and very quietly she asked, “Shirley, what can we do about this?” “I think I don’t have the right voice to ride the drive in the music. It think it needs a heavier, larger voice.” Warm silence. “Don’t think I can give more volume unless I push the voice somehow and I’ve never done that. I think I could hurt my voice…It is only fair to you that you use someone who does have a bigger voice, someone else will undoubtedly be more right for Chrysothemis.” There was a little time of silence, but somehow it was a remarkable silence and our dear, so understanding Mme Lehmann said, “I’m so glad you made that decision, Shirley, because if you hadn’t I would have. You do have only one voice and we don’t want anything to happen to it.” How can one not be grateful for such a teacher? One day, driving her to L.A., no conversation, then suddenly she spoke with such pain in her voice, “Oh, Shirley, I am so worried about _____.” (A student who was romantically involved with a married man.) “My husband left his wife for me and his children never forgave me.” And tears were flowing. I knew nothing about that and what can one say to help comfort? I just held the steering wheel with my left hand and reached over putting my right hand over her clasped hands and we drove quite a few miles that way. In addition to the four summers I studied with her, I had the joy to work with her in the Winters of 1954–55 and 1955–56. I am a good “sponge” and I was there to absorb as much as I could. One day she telephoned me, I believe in early Spring 1956. “Shirley, you have been working so hard and so long without a break, you need a little holiday. You should drive over and see Monument Valley. It is beautiful and unique. I’ll pay for your trip.” I was totally aghast. Here I was, having this wonderful opportunity to study with her and she wanted to pay me to take a holiday? There was no way I would or could accept that! But such a thoughtful, gracious, special person! In 1953 Joe Meyers was scheduled to sing “Der Erlkönig” by Schubert. Mme Lehmann had been encouraging us to try to be involved in a song and to communicate. The song progressed through the four first characterizations and Joe stolidly and cleanly sang without one iota of expression. Mme Lehmann was sitting in an armchair and suddenly I saw her hands move to the arms and she was on her feet. “Now Joe, you asked to sing this song, and now you are doing nothing with it, with any of the four characters.” There was more, but I kept hearing, “You asked to sing this Lied.” It would never have occurred to me to ask to sing a certain song. But in 1955 I found a song which appealed to me primarily for the poetry, though the melody was [only] palatable. I decided to ask if I might sing it in class. “Yes, of course, Shirley.” I have here the title of the song; the composer was Robert Heger. I dug in and learned it and took it in to Mrs. [Gwendolyn] Koldofsky who could romp through anything with grace and panache. The accompaniment was rather busy; widely spaced arpeggios and scales and really quite florid. It didn’t particularly match up with the poetry. She looked at me and said, “This is really not your usual type of song, Shirley.” I agreed, but said it had appealed to me. I confessed I’d asked to sing it and felt I shouldn’t back out. Came the class. I sang it with energy and my enjoyment of the text, but the piano was definitely not a compatible partner to the text. After I finished there was generous applause and then silence. Finally Mme Lehmann said, “Shirley, for the life of me I can’t figure out why you wanted to sing that song.” My reply was, “Well, Mme Lehmann, I really liked the poem and wanted to sing it.” She asked, “the poem?” and I said, “Yes, Mme Lehmann, it was one of your poems.” Her eyes flew open and she spoke, “It was?? !” in total astonishment! Of course the audience and Shirley doubled up laughing. Her lovely poem had been so poorly used that she had not recognized her own words! In early 1955 we were driving back from L.A.; I recall she had gone down to hear auditions—students wishing and hoping to come to the Academy. Driving along she was very quiet and with my right hand keeping the rhythm going, I “sotto voce” sang my memorized Chrysotemis. Out of the blue, came from her, “Shirley, I wish you’d call me Lotte.” My right hand stopped every manner of music and I clamped the wheel. I couldn’t believe I heard such a thing. The resulting silence was laced with explanation points and questions! And she said, “I didn’t mean you should stop practicing,” with her touch of apology, which floored me, but I wanted to laugh. How could I simply keep on with practicing when such a request/statement came to me. It took me four months. She never queried why I wasn’t [calling her Lotte]; she just let me work it through. Very near the end of the fourth month we were in discussion about something and I responded, “but Lotte, it could be…” and stopped flat out. She never once said, “Well, it took you a long time,” etc…but that smile was there and I sense she felt I had come to terms with a barrier. I never called her “Lotte” when with other students. If she had extended the privilege to others that was a different matter and their privilege. The singers who had the joy to study with “Lotte” have, in the deepest sense, the appreciation to nourish the unforgettable times, memories of communication and warmth, and they cherish the imprint and input from this remarkable artist upon our lives. Memories of working with Lehmann recounted by the late Shirley Sproule. On the long path to becoming a professional singer, I was fortunate to work with a number of exceptional musicians. 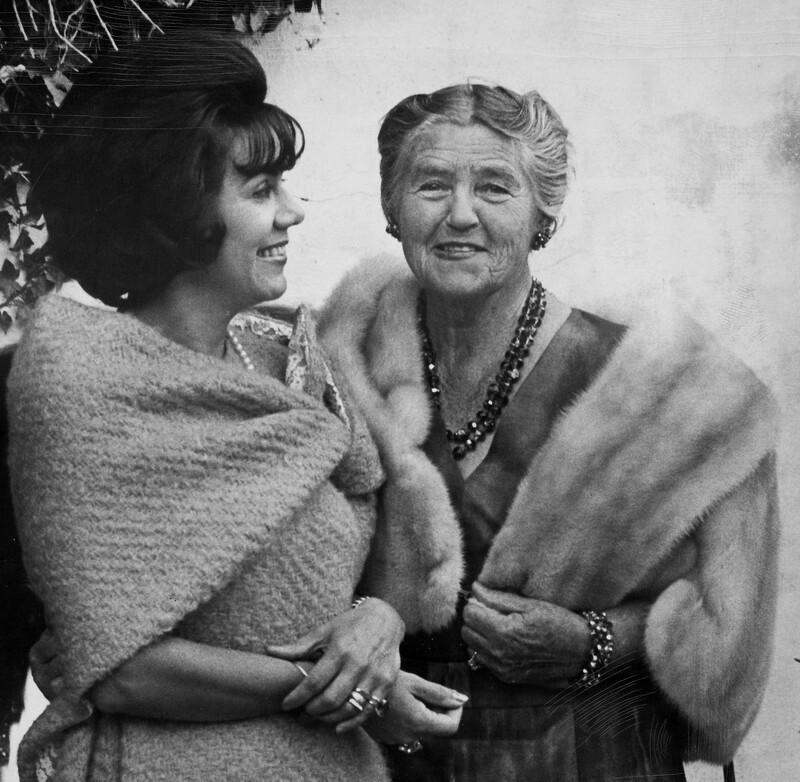 My high school music teacher in Delano, California, Chester Hayden, was the first among them, and it was he who led me to the legendary German opera and Lieder singer Lotte Lehmann. Lehmann, who had just retired from the stage and was heading the vocal program at the Music Academy of the West in Santa Barbara, accepted me for the nine-week summer session in 1953. Based on what she heard in our voices, she created an individual recital program for each singer whom she took on as a student. This was a special and unique gift, reflecting her largesse, and it proved to be of great value to me as I continued in my studies. In all, I spent four summers at the Academy. After the second summer, I moved to Santa Barbara and, shortly after that, was accepted at the Curtis Institute of Music in Philadelphia, where I studied with baritone Martial Singher, but continued at the Academy for two more summers. The schedule there was intense. From Monday through Thursday, we would prepare the repertoire that Lehmann had chosen for us for her master classes, working with soprano Tilly de Garmo on vocal technique and with her husband, conductor/coach Fritz Zweig, at the piano. They were among many gifted musicians who had fled Nazi Germany for the United States, and we were so fortunate to have the opportunity to learn from them. On Friday and Saturday, Lehmann held two-hour master classes on interpretation, open to a paying audience and held in a large, elegant room of the Spanish-style mansion located on a cliff near the Pacific Ocean. Fridays were devoted to German and French art songs and Saturdays to operatic arias and scenes. The roughly eighteen students sat in the hall observing, and Lehmann (whom we always called “Madame Lehmann”) would call us to the stage individually, or as a group for opera scenes, to perform selections from the repertoire selected for study that week. Occasionally, when she heard a vocal problem, she would refer us to Tilly, and, during one summer, to tenor Armand Tokatyan. The first Lied I sang for Lehmann in 1953 was Schumann’s “Die Lotusblume,” set to a poem by Heine. Because I had not heard German spoken or sung before, it took me two weeks to memorize the song, but there was a lotus pond down the road from the Academy that I used for inspiration. I also sang “Der Tod, das ist die kühle Nacht” by Brahms, which struck me deeply because my mother had died in 1954. Lehmann must have felt my strong connection with the music, for she was gentle with her critique. Sometimes, when we just couldn’t achieve the results she wanted, Lehmann would step onto the stage to sing an aria or song, often an octave lower, that we were working on. On days when her allergies were not bothering her, she would sing it as written. Watching and listening to her, we were mesmerized by her ability to transform herself magically into another persona and overwhelmed by the depth and range of emotion she expressed. She opened us up to the many possibilities of interpretation and made it clear that she did not want us to copy her, but to develop our own means of expression. By the end of each class, I had experienced such a range of emotions that I found I had developed a splitting headache and had to go back to my room to lie down. Learning how to act and move on stage was another aspect of our training. We were all somewhat awkward and needed to learn the basics. I remember being taught how to die in operatic fashion by our handsome acting coach, tenor Carl Zytowski, and one day Lehmann said to me in class, “Benita, I have heard that you have learned to die beautifully. Please die for us”—which I did! The acting lessons were valuable for our opera scenes and for the complete operas that were staged once a summer, though my skill in dying was not called for in the roles I was given: Barbarina in Le Nozze di Figaro, the Echo in Ariadne auf Naxos, and Adele in Die Fledermaus. Another major influence at the Academy was Lehmann’s older brother, Fritz Lehmann, a highly regarded vocal coach who came to all the master classes and worked individually with some of us in his home in Santa Barbara, in the presence of his warm and loving wife, Theresa. Fritz shared my great love of Mozart and recognized that Mozart’s arias and songs were ideally suited to my voice. How right he was! Mozart became the cornerstone of my operatic career, with such roles as Pamina in Die Zauberflöte; Susanna, and later the Countess, in Le Nozze di Figaro, and Ilia in Idomeneo. 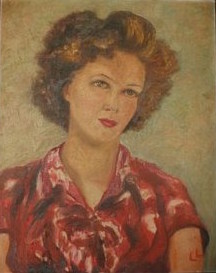 Lehmann’s immense curiosity drew her into many areas of life. She enjoyed creating art and did a painting for each song of Schubert’s song cycle, Winterreise. One of those paintings hangs in my studio. She loved gardening and made the tiles for the steps of her garden. She was a frequent letter writer, her handwriting large and sprawling and her words revealing her characteristic truthfulness and emotional openness. Lehmann had a great love of animals. She owned two myna birds who could be heard from the garden imitating her speaking voice exactly. Once Lehmann asked soprano Shirley Sproule, who was my colleague and voice teacher at that time, to drive her to Los Angeles, and I happily went along, thrilled to be in her company. On our return we passed a schoolyard. Lehmann spotted a crow perched on the monkey bars. Although we assured her that the bird was fine, she later apparently worried that it was caught in the bars and insisted that her friend Frances Holden drive her back to the schoolyard. No bird remained—it was free! In my current life as a teacher of voice, I think often of Lotte Lehmann, of her larger-than-life personality, her magnetism, her ability to become different people on stage. No wonder such major creators as Richard Strauss, who composed music for her, and Arturo Toscanini, who conducted her in performance, were so entranced by her! For me personally, one of Lehmann’s most important gifts was to open my path to loving the Lied and the song repertoire in general. Her equal commitment to opera and art songs has inspired me to follow the same path, adding chamber music, oratorio, and contemporary works to my own repertoire. I have accepted as key her principle that the words lead the way to the expression and color that the composer intended. Lotte Lehmann, along with pianist Rudolf Serkin, who was a mentor to me at the Marlboro Music School and Festival in Vermont, and soprano Margaret Harshaw, with whom I studied from 1969 until 1995, two years before her death, were the musical greats who inspired me in my life in music. Passing on their artistic vision to future generations is both my responsibility and my privilege. [I received the following email message from Ms. Valente in March 2016] …thanks for urging me to write this Preface, for it caused me to bring back to mind so many wonderful memories that I have stored away all these years! Before ever having met the great lady, I first heard her recordings in the opera and Lieder classes that I took with Dr. Jan Popper back in 1953–55 at UCLA. I fell completely in love with her total artistry, text involvement, beautiful vocal timbre and evenness of quality throughout her range. The emotional content was stirring and so deeply committed that one became a devotee for life. 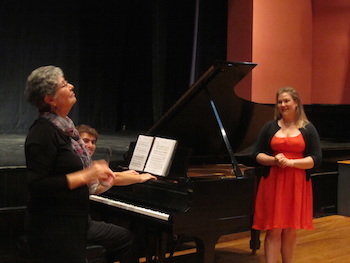 There followed a weekly drive from Los Angeles to Santa Barbara for the two-hour Saturday afternoon opera master classes to observe Mme Lehmann in the role of mentor to the young hopefuls. And since I was a neophyte in the repertoire, I just learned by observation, osmosis and inspiration. Lehmann’s world became an extension of the exciting art of music. After greeting the class (and audience) Lehmann would offer a deeply felt translation of the text (all parts), discuss the situation at the specific moment of the scene, and give a marvelously insightful characterization of each of the roles. Then the students performed. Some of the students were better equipped than others, but essentially they were more advanced singers, such as Grace Bumbry. By the way, in 1960 Grace was the “schwarze Venus” in Wieland Wagner’s Tannhäuser and I was there coincidentally as a scholarship winner to Friedelind Wagner’s “Meisterklasse” in Bayreuth. Another of those master class participants at the Music Academy was Lotfi Mansouri. He and I were fellow students in Dr. Popper’s opera history classes followed by the opera workshop. Lotfi also took part in Mme Lehmann’s Lieder classes. I remember his performance of “Ich grolle nicht.” He was one of the few who was able to absorb her suggestions, but then do his own thing. I don’t recall Lehmann ever talking technically to students. Her passionate concern was interpretation, dramatic presentation, total involvement with communication. Armand Tokatyan was the voice faculty artist at the Music Academy who helped with vocal technique. My special opera class favorites were the scenes between Eva and Hans Sachs in Meistersinger and the Rosenkavalier “Presentation of the Rose” and last act final trio. After the student performance, Mme Lehmann would walk to the small stage and proceed to demonstrate each character (men included). I fell in love with her as Hans Sachs….so warm, loving and understanding of Eva’s emotions. “He” communicated his feeling of protectiveness to me in the audience; it was stirring. Also, her awareness of the aesthetics of line, whether visual or aural—totally in sync with the whole picture. The way she held the rose as Octavian presented it to Sophie—elegance, line, the feeling Octavian was sensing as he extended it to the lovely, innocent young girl. I have carried that picture with me constantly. No matter what repertoire—Pélleas, Manon, Marriage of Figaro, Freischütz—all were given the same depth of expressiveness and credibility. It was magic. It wasn’t long before I alternated [as pianist] with the Friday afternoon art song master classes and the Saturday opera classes. A whole new world opened up. The same approach—translating in fluent (though accented) English the poetic texts. One hardly needed the song, so lyrical was her reading. Then the student would sing. Lehmann would often rise from her throne-backed chair and offer suggestions. At this point in her life (retired from the stage) she would say, “I will demonstrate, I do not sing anymore, but if I do, it will be an octave lower.” And, “Don’t copy me, but let your imagination pick up cues from what I do, then do your own interpretation—but please feel it, mean it.” “No, no,” she would say, “you sing like soldiers on guard duty—sentries posted at different places—connect them—legato.” For some, her personality was so strong that they could only try to imitate. Others would come through with inspiring changes, freed from emotional restrictions. After some time I became Dr. Popper’s assistant and then came the supreme opportunity when he brought me to the Academy for the full summer session to assist him in the preparation and coaching for the master classes which he was accompanying. Lotfi was the stage director and I the music director…a long and unique relationship. I played for the opera classes and during my first year working there, helped prepare Ariadne auf Naxos in a complete performance with Abravanel conducting the orchestra. The cast included many fine voices, some singers such as Marni Nixon, Benita Valente, and Norman Mittleman, who went on to important careers. Lehmann presented one of her artistic creations to each staff member. I still have the watercolor poster she gave me of two of the characters in the opera. I did not play for the Lieder classes (Gwen Koldofsky was the pianist for those), but some years later I did play for students who had private lessons with Lehmann at her wonderful home in Hope Ranch. The only negative memories I have from that time were Mme Lehmann’s attempts to govern students’ personal lives, which seemed uncalled for. She would say things like “Don’t marry.” “Don’t have children.” etc. Also, she was not able to conceal which singers were her pets, but…in light of all she offered, these are minor infractions of behavior which fade from the picture. She was a powerful personality. Young people are impressionable and tend towards idol worship. But all the good overshadows any of the negatives. After all, idols are human beings and it’s only natural for them to have feet of clay, which tend to become exposed over time. 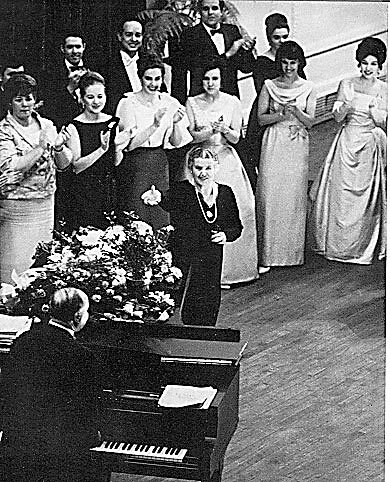 In 1959–60 during the unrepeatable series of Lotte Lehmann’s master classes, I still vividly remember a moment of absolute silence following Madame Lehmann’s brief demonstration to the three young singers on stage of the phrase from the final Trio of Der Rosenkavalier—“ich weiss’ auch nichts, gar nichts.” I had never before heard that work, although many of the audience had, but we were all part of the deeply felt silent moment of sheer emotion which greeted her short utterance—an inaudible lump in all throats and a missed beat of many hearts, including mine, based on I knew not what. Unforgettable and still indescribable forty plus years on, and surely woven into the fabric of the Wigmore for all time. A few singers have sometimes been listed as Lehmann students in error. 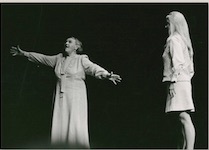 Shirley Verrett, Mattiwilda Dobbs, and Elisabeth Schwarzkopf never studied with Lehmann.